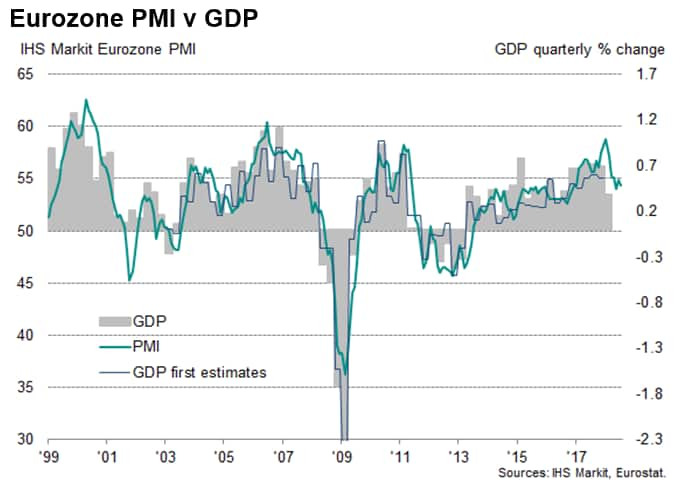 Flash PMI survey data indicated that the eurozone economy expanded at the start of the third quarter, but the pace of growth lost momentum again after a slight upturn in June. Weaker gains in new order inflows and reduced business expectations of activity added to the downbeat picture. Price pressures meanwhile remained elevated, albeit cooling slightly since June. 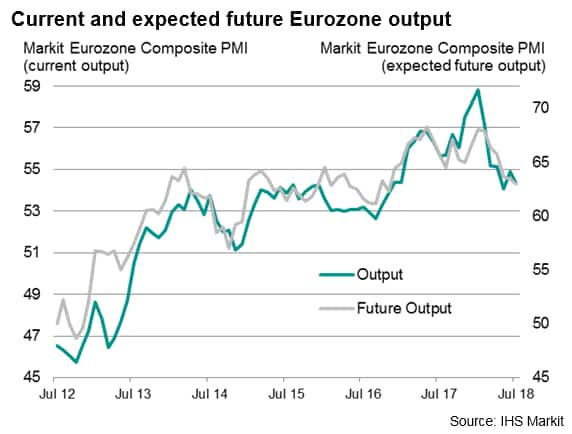 The IHS Markit Eurozone Composite PMI fell to 54.3 in July from June's 54.9, according to the flash reading, which is based on approximately 85% of usual replies. Although still signalling robust growth, the latest reading was the second-weakest since November 2016, only narrowly beating May's recent low. The July reading is consistent with quarterly GDP growth of 0.4%, down from a 0.5% expansion indicated by the surveys for the second quarter. 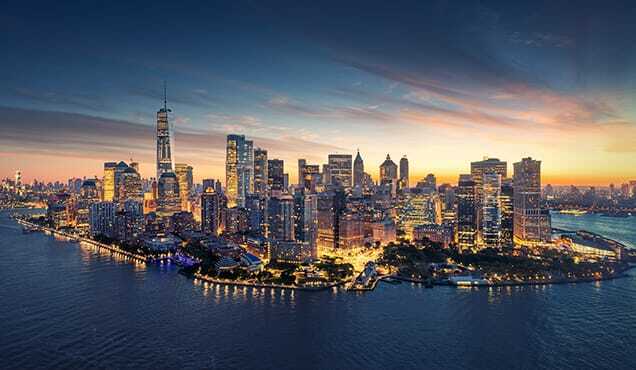 The renewed slowdown goes some way to confirm suspicions that June's rebound was temporary, largely due to businesses in some countries making up for an unusually high number of public holidays in May, and that an underlying trend of slower growth has persisted. Manufacturing output grew at a rate unchanged on June's 19-month low, while business activity in the service sector pulled back from June's four-month high, yet still registering the second-slowest expansion seen in the past year and a half. Additional signs of a slowdown were provided by waning growth of new business and a further slide in business optimism, notably in manufacturing, where the surveys saw worries about trade wars intensify markedly in July. Measured across both sectors, July saw the smallest increase in new orders since October 2016. New export orders registered the weakest monthly rise since August 2016. In a further sign that growth of output and hiring may continue to slow, expectations of business activity slipped to a 20-month low. Optimism regained some poise in manufacturing, having slumped to a 31-month low in June, but slid to the lowest since November 2016 in the service sector. 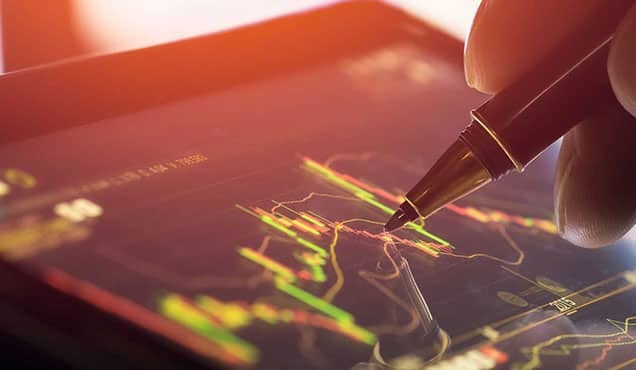 Will trade worries spill over to services? 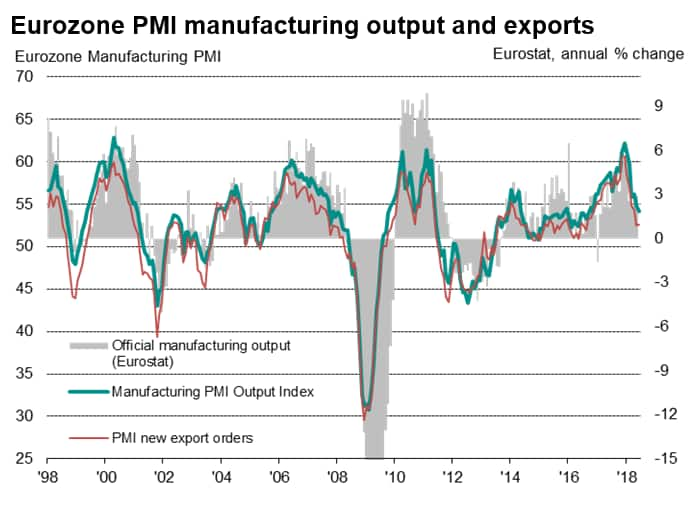 The data therefore suggest that, while there are signs that improving domestic demand in many countries is helping drive robust service sector expansion and support manufacturing, a worsening picture for export growth is having an increasingly detrimental effect on manufacturing. 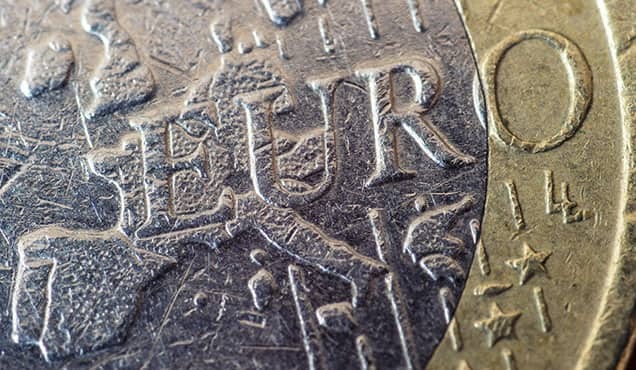 The big question going forward will be the extent to which domestic demand can remain sufficiently resilient to cushion the eurozone economy from the potential adverse impact of an intensifying global trade war. For now, the health of domestic demand seems encouragingly solid, but any feed-though of trade worries to other sectors will be a key area of concern to an already increasingly uncertain outlook. 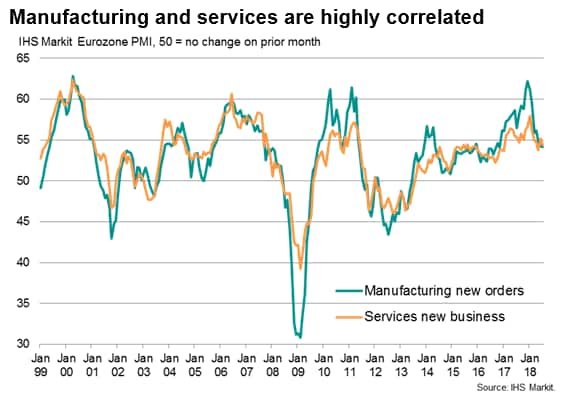 Historical data suggest that a service sector upturn is rarely sustained without commensurate manufacturing growth. Price pressures meanwhile eased, though remained elevated. 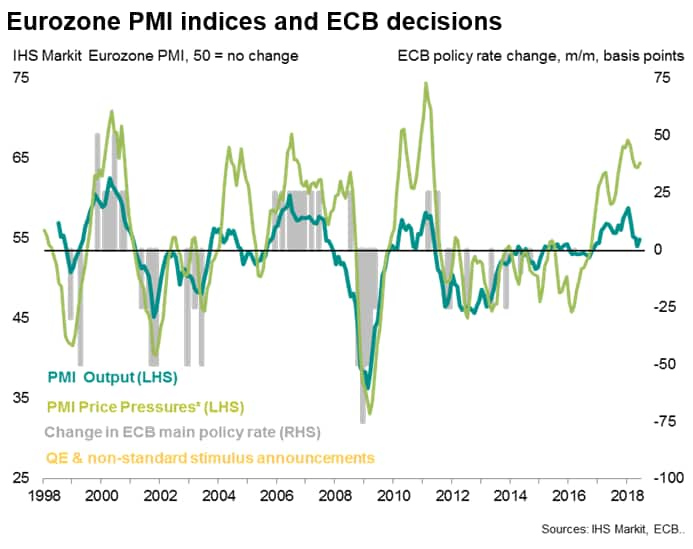 The flash PMI survey gauges of input cost inflation cooled slightly in both manufacturing and services, but at the headline level fell only modestly from June, recording its third-highest level in seven years. 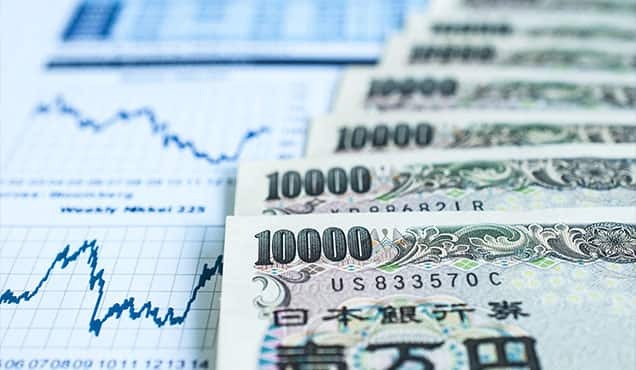 Companies continued to report widespread price hikes for fuel and other oil-related inputs, alongside cost increases for metals such as steel and, in some countries, rising wage pressures. 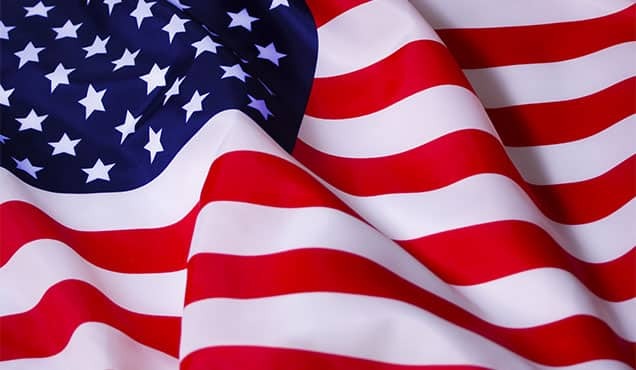 Price hikes for raw materials were also again often linked to tariffs, trade wars, supply chain delays and shortages, with supplier delivery times widely reported to have lengthened again, notably from China. Average selling prices for goods and services rose again as companies often sought to pass higher costs on to customers. 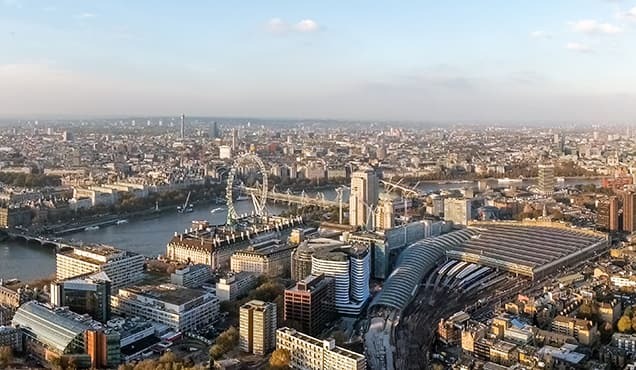 The latest rise in prices was weaker than the four-month high seen in June but nevertheless still one of the highest seen over the past seven years. Goods price inflation continued to run higher than for services, despite the latter recording one of steepest rises in charges over the past decade.